First and foremost, I’m a full-time stay-at-home dad while my wife works full-time to pay the bills. We currently have a three-year-old daughter and twin two-year-old sons. When our daughter was born my wife and I were both able to continue working full-time and afford child care. Then after we were expecting to have a second child, both of us would have still been able to afford child care while working. However, this changed once we found out that we were having twins. For me, child care costs for all three kids in the Washington, D. C. metropolitan area was 20% more than my take home pay at that time. And since my wife made more money and had more opportunity for growth and bonuses at her job, I stayed home to take care of the kids. But this didn’t stop me from exploring new opportunities as a stay-at-home parent. At first I tried doubling down on my efforts blogging, live streaming and brand building, but with such little time to invest, any growth was doomed to be too slow. Researching rideshare driving was a shot in the dark, but then I realized how I could combine all my efforts with ridesharing to compliment my current strategy. 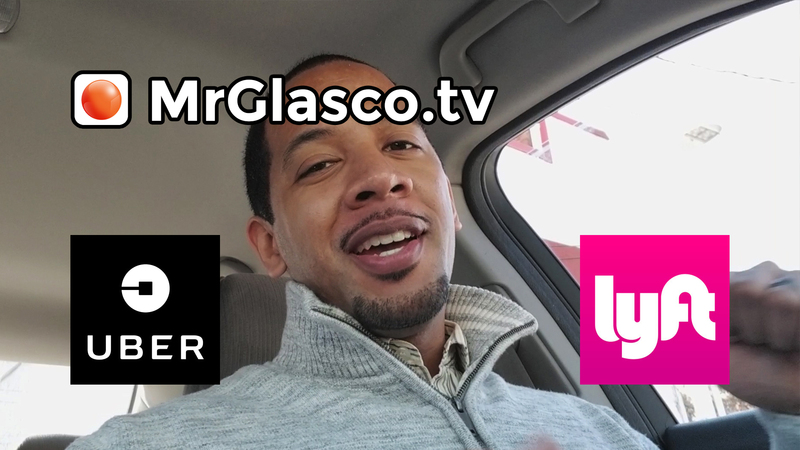 The dream would be for me to produce a variety of content while ridesharing, invest more into my brand and then funnel passive conversion to rideshare referral codes, Amazon affiliate links and other monetization methods. The primary challenge for me was trying to quantify total rideshare costs verses total benefits. I tried to do as much research ahead of time to prepare myself and make a plan, but there seems to be a very big difference between planning and executing when it comes to rideshare driving. It feels like it is easy to overlook the indirect overhead costs, unlike with fuel, cleaning and TNC insurance, there are the cost of vehicle maintenance and repair that are not as easy to project. Such cost are more difficult to weigh against the immediate payouts and promotions, and is especially difficult when there is only the potential for referrals. There can also be a failed investment cost, where I could invest into my vehicle above and beyond what is necessary, and then potentially never make enough money in return to cover those initial investment costs. In extreme cases, for example, early rideshare drivers were making so much money that some bought brand new luxury cars to increase their earning potential. Unfortunately, for some of these drivers, the competition among TNC companies to lower their rates for greater market share made previous driver earning potential nearly impossible in today’s market. So some of these drivers with new cars are stuck with finance payments based on an obsolete earnings budget. With such a volatile industry, I believe that one of the most important things to consider before jumping into rideshare driving is a comparison of your own long term and short term goals with the long and short term goals of the companies that seek to dominate the market. For example, companies like Uber have a financial outlook that is willing to accept a $4.5 billion loss from 2017. The speculation here is that the autonomous vehicles that they are currently testing will reconcile these losses sometime in the future, as it actually makes business sense for them to replace drivers all together. Just make sure that you do some research. Nevertheless, I currently believe that there is some opportunity and potential with rideshare driving for those with a specific mindset and circumstance. This includes being able to turn a blind eye towards rideshare’s effect on the taxi cab industry, or even rideshare company’s past, present and expected future treatment of their own drivers. I think that this is where it is the trickiest for a new rideshare driver to navigate the drama and politics of the industry without upsetting someone. I may not even have the perfect mindset and circumstance for rideshare driving, but maybe I should take into account how lucky I am to simply give it a try. I am lucky that I was not an early rideshare driver that over-invested. To a certain extent I am lucky that my rideshare vehicle is already paid off and still in very good condition. With that said, I do not put too much weight into being lucky or unlucky, but I would be lying if I denied that it is somewhere in the mix. So I would tell anyone who is interested in rideshare driving to give it a try if it seems like a good fit for you and your short term circumstance. Just make sure that you do some research. Join some Facebook groups to acclimate yourself to the community, culture and industry standards and expectations. I joined a couple of Facebook groups, where I found some of the most raw and brutally honest feedback from rideshare drivers and riders. While these Facebook groups can sometimes lack the positivity and polish of high ranking rideshare videos on YouTube, I feel like I get a better sense of the overall reality of rideshare driving from them. There is also a wide spectrum of idealism from a sentiment for members to organize and pressure rideshare companies for better treatment, to motivational screenshot posts of real-time earnings of drivers who only focus on making money. Members of these groups range from the wise and experienced, to the innocent and ignorant, to the funny and the brash, and I think that it is this wide range of variety and honesty that can make groups like these more relatable. So I feel like the most relatable thing that I can do is to be as honest as possible about my rideshare driving experience. For me personally, there is a paradox to rideshare driving that comes from my desire to provide for my family, and at the same time not wanting to over commit myself to the point that I am taking away from my family. I am currently trying to figure out the logistics of ridesharing as it fits into my schedule of taking care of my kids, meeting family obligations and trying to stream on Twitch.tv. My overall objective here is to find a balance between the polished presentation of the rideshare driving experience, and the more unfiltered rideshare driving reality that would be talked about around the water cooler. The more I become a part of the ridesharing ecosystem, I hope to communicate what I am experiencing, what I am hearing, what I am feeling and what my instincts are telling me. Even if things don’t end up working out for me, maybe I can give enough insight to help someone else be more successful.